Where to Retire Magazine recently named Tucson, Arizona one of 8 great small towns to retire for 2015. Tucson does have its charm for people and families of all ages, but what specifically makes it a great place to retire? Let’s take a look. Unlike bigger cities and suburban neighborhoods, homes in Tucson and surrounding areas like Dove Mountain typically have more space from your neighbors. You still have neighbors, they just aren’t peering over your fence from an uncomfortable 20 feet away. People who choose to call Tucson home are generally people who enjoy the outdoors. The city and outlying areas have a unique landscape and wildlife, making any outdoor activity an adventure! Nature has been preserved thanks to the efforts of environmentalists and philanthropists. No matter your age, most people continue to love college sports long after their college years are through. Luckily, the University of Arizona has a world-famous basketball team, and the games are full of fun and spirited fans. The University’s Centennial Hall is always featuring the nation’s most famous comedians, giving residents the opportunity to go see major live comedy performances from the likes of Louis C.K., Nick Kroll, and more. 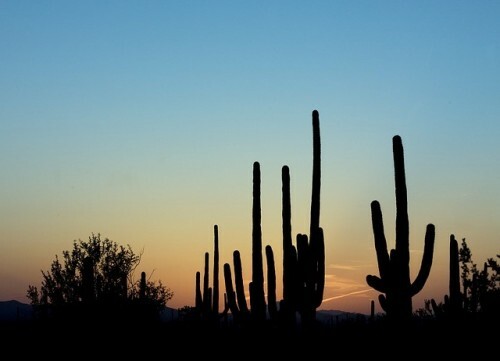 Tucson has year-round sunshine and plenty of warm weather for everyone. In fact, weather is the number one reason people choose to retire here. There are new luxury residential communities in and around Tucson, such as The Residences at The Ritz-Carlton, Dove Mountain. Since they are new communities, the majority of residents are on the younger side of retirement. There are also some people who purchase these homes who still have children living in the home, giving these communities a nice mix of residents. Art museums, orchestras, and other cultural attractions are a great part of living in Tucson. There are also always major concerts touring through the city as well. Not to mention the world-famous Tucson Gem and Mineral Show which draws thousands of people from all over the nation. These are just some of the top reasons why people choose to retire in and around Tucson. If you’d like to learn more about this fine city, visit visittucson.org.